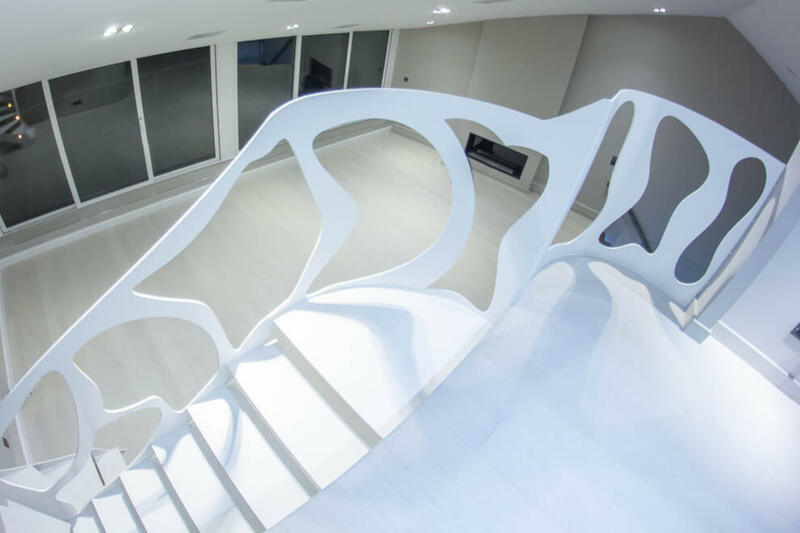 For this project, we took an ultra-modern approach, so that the stairs match the concept of the interior perfectly. 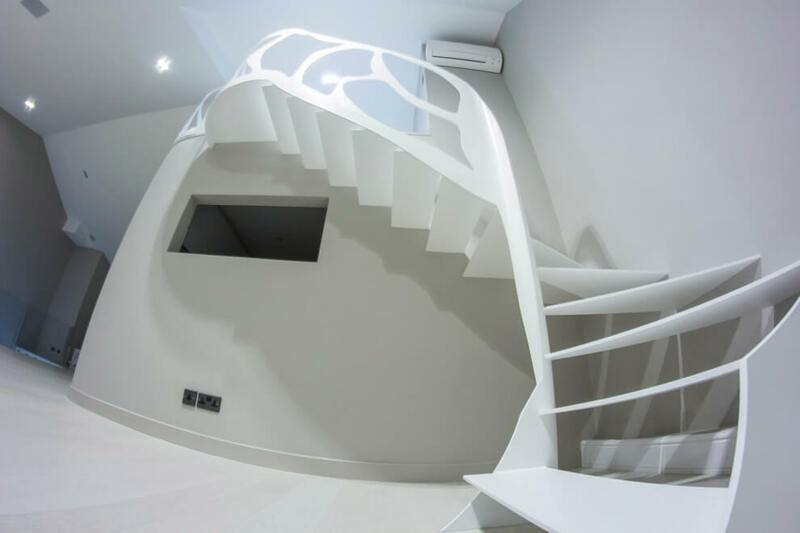 The result was a thin-welded steel stairway. 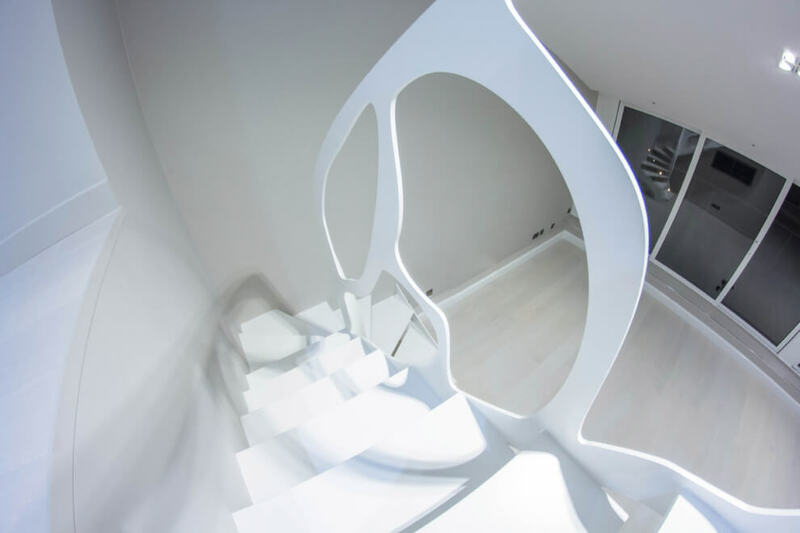 The white, thin treads give the structure an incredibly light feel while still making it incredibly sturdy. 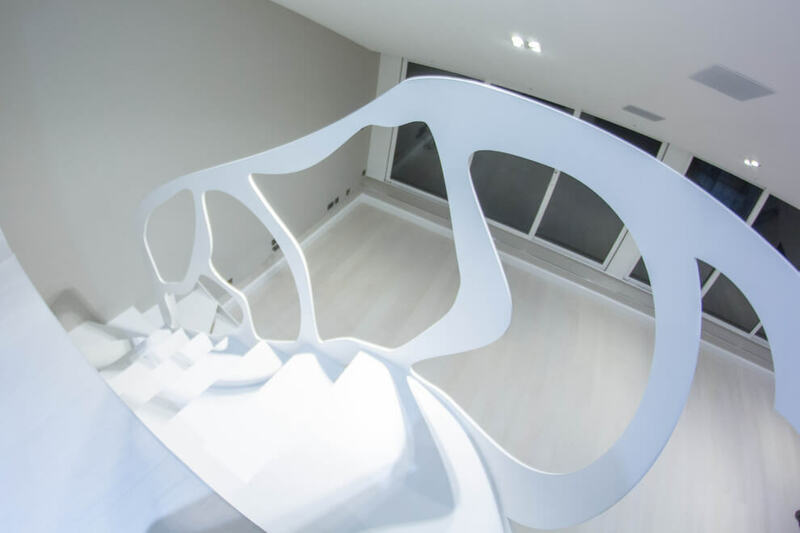 The bottom section has a 180-degree turn to further enhance the looks of the interior. 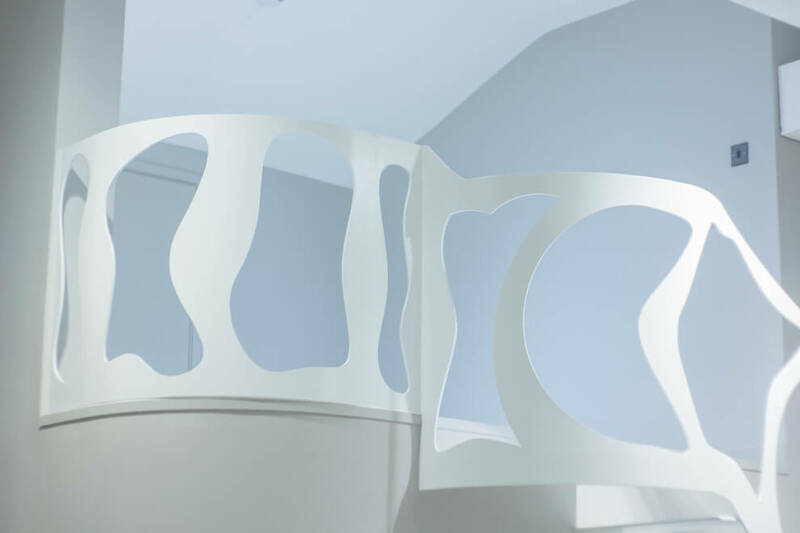 The hand-polished balustrade is an integral part of the project with its irregular patterns further enhancing the light, modern quality of the staircase.